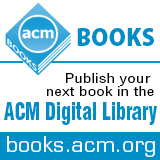 Welcome to the May 11, 2015 edition of ACM TechNews, providing timely information for IT professionals three times a week. In only the last few years, the miniaturization of technology and the proliferation of mobile devices such as smartphones has resulted in a wave of new devices that provide the average person with unprecedented access to quantifiable information about their bodies. The boom in fitness trackers and other personal diagnostic devices has fostered a new movement of people who obsessively log their health information in hopes of optimizing their bodies and extending their lives. A new wave of even more advanced devices is on the horizon, featuring everything from devices that can track behavior for signs of mental illness to tiny devices that will float through the bloodstream to collect data. Although this technology and the lifestyle it has created have staunch advocates, there also are critics. Some scientists say that although health-tracking technologies have great value to medicine, the ability to track their health in minute detail is likely only of limited value to the average person. Others warn the technology is moving faster than the law and regulation, creating great uncertainty about the privacy of the health data collected by these devices, and who, if anyone, has the authority to oversee their safety. AT&T Labs' annual Research Day on Friday showcased several projects that are close to being released. AT&T's Drive initiative is a connected automobile project that aims to track a car's location so that when it is a certain distance from its owner's house, the system will trigger predetermined actions. In addition, users will be able to manually issue commands through a console in the car. AT&T also has developed Mobile Call Recording, a service that records mobile phone calls and stores them in the cloud, where they can be accessed later. In addition, AT&T's Execucast project will enable users to show a webcast on their own private TV channel. The new system employs a Web interface and camera connection to stream the live video to a server to which TV platforms connect. AT&T's Project OnRamp is a system that includes developer tools and application programming interfaces for developers to access AT&T Drive's Automotive Service Delivery Platform, enabling users to remotely control their cars. Finally, AT&T's ForHealth website will help users reach fitness and health goals by aggregating fitness data from a range of devices and apps. The site aims to help users sleep better, improve their posture, sharpen their training regimen, and reduce stress. The Wall Street Journal recently gathered three experts from the technology industry--Centre for the Study of Existential Risk and the Future of Life Institute co-founder Jan Tallinn; Guruduth S.Banavar, vice president of cognitive computing at IBM's Watson Research Center; and Francesca Rossi, University of Padua computer science professor and president of the International Joint Conferences on Artificial Intelligence--to discuss the potential risks and threats posed by artificial intelligence (AI). All three agreed that any existential threat posed to humanity by AI is speculative and in the narrow domains where the technology has become dominant it has the potential to do great good. Banavar notes AI has been shown to improve the ability of doctors to make accurate medical diagnoses, for example. However, Rossi says there also is potential danger in several of these domains, such as the risks created by automated financial trading agents or self-driving cars, which need to be addressed. Tallinn also notes AI technology will likely have massive impacts on the job market that could make it necessary to "think about how to organize society around something other than full employment." Other issues raised by the group include the need for government regulations to circumscribe the use of AI technology in particularly sensitive domains. Texas A&M University computer science professor Robin Murphy says the recent earthquake in Nepal illustrates the need for critical real-time computing and information systems (CRICIS) computing, a new approach to researching socio-technical systems with an eye toward deploying them in disaster situations. CRICIS computing was first articulated in a 2012 report on a U.S. National Science Foundation and Computing Community Consortium workshop. According to the report, CRICIS consists of five research themes: integrating computing, physical science, and social science; working and comprehending at scale; real-time awareness and modeling; methods and metrics; and training and education. Murphy notes although technology is being widely deployed in the disaster relief effort in Nepal, the use of devices such as drones, smartphones, and other technologies is producing a great deal of ad hoc content and data that cannot easily be integrated into a unified response. CRICIS computing would help develop technologies and techniques that would create a unified response capable of addressing complex but important disaster relief issues. Murphy uses the example of determining whether to continue housing patients in a hospital in the wake of an earthquake. Such a decision requires easy access to a great deal of disparate data, which CRICIS computing could provide. Several universities are experimenting with wearable technologies as a way to improve classroom instruction. Last year, University of California, Berkeley researchers and Intel launched the Make It Wearable Challenge, a competition to encourage entrepreneurs to develop wearable devices. The challenge involved instructors from Berkeley's Lester Center guiding the startup teams through an accelerator program. The competition's winning project was a wrist-mounted camera drone called Nixie. A low-cost robotic hand took second prize, while a production tools called Proglove, which helps industrial workers track data and information on the job, came in third. Meanwhile, New York University (NYU) researchers are using wearable devices to teach incoming students about project management and teamwork. As part of orientation for its full-time and part-time MBA students, the administration has put students to work on short projects that integrate Google Glass and a clip-on camera called Narrative Clip. "This is a way to tell [students] that this is an opportunity to look into the future, so try to think about how you would use this," says NYU's Maya Georgieva. Harvard Business School professors are using wearable trackers that measure their steps as a way to study the theory that an instructor's activity level in class correlates with how well students absorb the course material. Getting women interested in science, technology, engineering, and math (STEM) subjects in their early years and sustaining that interest through college is key to addressing an endemic gender imbalance in the technology sector. Programs such as Qualcomm's Qcamp coding camp, which offers instruction in coding, app design, and robotics, seek to nurture STEM interest in young girls. Girls Who Code reports 74 percent of middle school girls say they are interested in STEM, yet only 0.3 percent of high school girls elect computer science as a college major. Experts say intimidation by a classroom where males are a majority is one factor discouraging girls' pursuit of STEM degrees. Harvey Mudd College president Maria Klawe cites this trend as a clear argument for changing how schools teach computer science. Her school is attempting to reform education to attract more women, for example by including more women in brochures, and amending introductory courses to stress programming as an outlet for creative problem-solving. Carnegie Mellon University is engaged in a similar pursuit by eliminating coding experience as an admissions requirement and setting up mentorship programs for women. Meanwhile, coding camps not only teach girls programming skills, but also help them form networks of friends and peers to encourage and support each other. Massachusetts Institute of Technology (MIT) researchers have developed a machine-learning technique that can recognize images of scenes as well as objects. The researchers say their work implies scene- and object-recognition systems could work in concert, or even that the two technologies could be mutually reinforcing. "To know that something is a bedroom, you need to see the bed; to know that something is a conference room, you need to see a table and chairs," says MIT professor Antonio Torralba. The researchers identified the 60 images that produced the strongest response in each of the units of the neural network. They sent the collections of images to paid workers on Amazon's Mechanical Turk crowdsourcing site, who were asked to identify commonalities among the images. After the Mechanical Turk workers assessed the images, the researchers found about half of the units at the top of the network are tuned to particular objects, while "the other half, either they detect objects but don't do it very well, or we just don't know what they are doing," Torralba says. Moving forward, the researchers are studying whether object detection and scene detection can feed back into each other, to improve the performance of both. In an effort to diversify Silicon Valley's technology sector, Google is placing engineers at a handful of Historically Black Colleges and Universities (HBCUs), where they teach, mentor, and advise on curriculum. Although 35 percent of African Americans receiving computer science degrees currently come from those schools, they do not end up at Silicon Valley's top technology companies, as only about 1 percent of those firms' technical staffers are black. In response to this shortage, Google sent a handful of software engineers to teach at Howard University, Hampton University, Fisk University, Spelman College, and Morehouse College. This summer, 30 students who took computer science classes at those HBCUs will complete internships with Google. "Change is slow, this is going to take time, but I think what's interesting about this program is that it's a different way of attacking the problem of lack of diversity in tech," says Google software engineer Sabrina Williams, who took a semester away from her Mountain View campus this year to mentor and teach at Howard. Williams notes she was the only female African American computer science major at Stanford University when she was the school 15 years ago. "I kind of felt awkward so I kind of hid a lot," she says. "It was very difficult." University of Washington (UW) researchers recently conducted a series of experiments to test how easily a malicious attack could hijack remote-controlled surgical robots and to make those operations more secure. The researchers demonstrated that next-generation teleoperated robots using nonprivate networks can be disrupted or derailed by common forms of cyberattacks. The researchers recommend incorporating security measures to thwart those attacks. "We want to make the next generation of telerobots resilient to some of the threats we've detected without putting an operator or patient or any other person in the physical world in danger," says UW doctoral student Tamara Bonaci. The researchers exposed the vulnerabilities by mounting common cyberattacks as study participants used Raven II, a teleoperated surgical robot, to move rubber blocks between pegs on a pegboard. The researchers used man-in-the-middle attacks to maliciously disrupt a wide range of the robot's functions and even to completely override command inputs. The researchers also conducted denial-of-service attacks and were able to disrupt the robots movements. "We need to design for and test additional security measures now, before the next generation of telerobots are deployed," says UW professor Howard Chizeck. Mexican computer specialist Enrique Leon Villeda has helped revolutionize advertising by developing software that can assess the real-time emotions of a person when considering consumer products. His algorithm measures heart rate and transfers data via Bluetooth to a mobile phone or computer, where positive or negative emotion is determined in real time. The software can show how buyers connect with a brand and how emotions influence their decision-making. "Though the software does not include a sensor, it can use commercial accessories like bracelets or a band chest," Leon Villeda says. "When the buyer experiences an emotion, we can know what kind and how strong." One way to use the technology is to set up a system and show pictures or video of products to a group of people. Another way is to monitor subjects using a commercial accessory, such as a bracelet, and transmit data via Bluetooth to a smartphone as they walk through a store. Villeda says this would enable a store owner to access whether advertising is properly positioned. The Coalition for National Science Funding's (CNSF) 21st Annual Capitol Hill Exhibition spotlighted the work of Kelleher Guerin and Amanda Edwards, who demonstrated their CoSTAR collaborative robot for manufacturing, along with Colin Lea, who demonstrated a virtual reality interface to enable non-technical users to more easily program robots. CoSTAR can be used to instruct a robot as an apprentice, in which a teacher understands the capabilities of the apprentice and builds on those capabilities until the apprentice can perform the desired tasks. Robots can be instructed by representing their capabilities as a set of easy to understand building blocks. The system enables the robot to collaborate with humans and respond to dynamic events just as a human would. With regard to the virtual reality interface, the researchers' work showed how advances in virtual reality could provide an environment for intuitive robot interaction and teaching. Using a virtual reality headset and a pair of three-dimensional joysticks, users can virtually move the robot around as if they were performing the task themselves. Both research projects were supported by the U.S. National Science Foundation's Directorate for Computer and Information Science and Engineering. University of Massachusetts Amherst (UMass Amherst) researchers recently completed an investigation of how micro-scale wrinkling affects electrical performance in carbon-based, single-crystal semiconductors. The researchers applied inhomogeneous deformations to the conducting channel of an organic transistor and found that mechanical deformations only decrease performance under certain conditions, and actually can enhance or have no effect in other instances. "What we've done is take advantage of the ordered structure of ultra-thin organic single crystals of rubrene to fabricate high-performance, thin-film transistors," says UMass Amherst doctoral student Marcos Reyes-Martinez. The researchers found crystals ranging in thickness from about 150 nanometers to 1 micrometer were thin enough to be wrinkled and applied to any elastomer substrate. "Our experiments are especially important because they help scientists working on flexible electronic devices to determine performance limitations of new materials under extreme mechanical deformations, such as when electronic devices conform to skin," the researchers say. They developed an analytical model based on plate-bending theory to measure the different local strains imposed on the transistor structure by the wrinkle deformations. Reyes-Martinez says the model was used to predict how different deformations modulate charge mobility, which had never been quantified before.